and is Managed by James Getz, Broker. 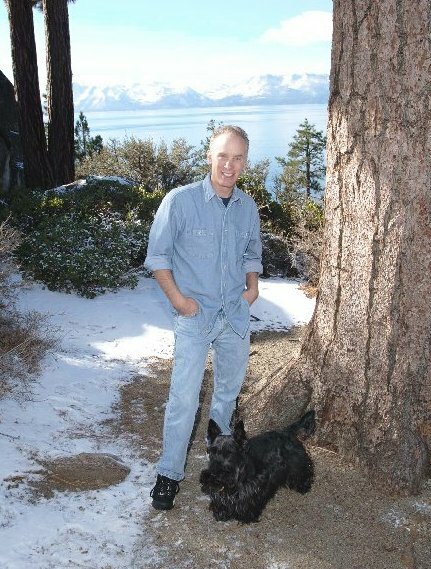 Hi, My name is Jim Getz, and I love Lake Tahoe. I am here to answer your questions concerning Real Estate in South Lake Tahoe. I am a California Licensed Real Estate Broker, living in Lake Tahoe, with twenty years of Real Estate experience in South Lake Tahoe. But...I also enjoy Lake Tahoe and I love to hike, bike, rollerblade, ski, write, and spend time with my kids. Ah...The beauty and Serentity of Lake Tahoe. This is truly nature's wonderland. Besides being a place of great splendor, South Lake Tahoe offers many opportunities to fulfill your dreams. Imagine the perfect outcome for your life, and it is yours to create in the beauty of Lake Tahoe. FAQ: The deepest part of the Lake is actually 92 feet below the level of Carson City, Nevada.